Rubenerd: Clipmark: Joe the Plumber a political William Hung? 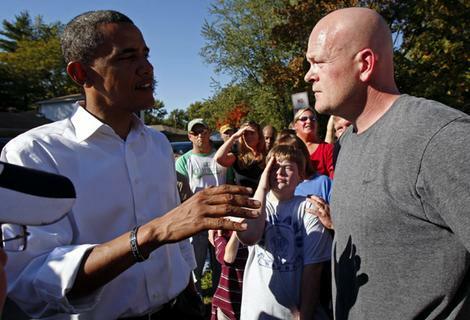 Clipmark: Joe the Plumber a political William Hung? Brilliant analogy but I don’t entirely agree: William Hung was fun and entertaining! He was invited to speak at a rally against the Employee Free Choice Act in Harrisburg, PA, but it turns out he knows almost nothing about the act. So he just sputters some platitudes about politics when asked about the issues. He keeps trying to say what he’s really there for is to stand up for the American people, but here’s the unspoken truth: he was there because someone was paying him to be there. What else can he do? He’s turned into the William Hung of politics, just desperate to appear in any mall food court they’ll book him at.